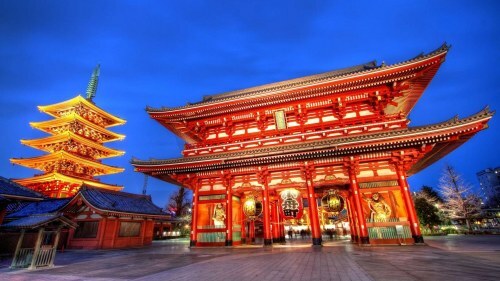 Air Canada has dropped the price of some of their April and May non-stop flights from Toronto to Tokyo, Japan (HND) down to $679 CAD roundtrip including taxes. This is a new record for the cheapest non-stop flights from Toronto to Japan. Note: Be sure to search for HND airport, and not NRT. toronto, yyz, flight deals, air canada, asia, tokyo, japan, east asia and hnd. 7 Responses to "Toronto to Tokyo, Japan - $679 CAD roundtrip including taxes | new record for non-stop flights"
Thanks for the heads up, got a pair of $680 flights. Really looking forward to flying to Tokyo again! No problem Amanda, glad it helped! Are there any days left with this deal? Forgot to mention I snatched this deal exactly at $679 for Apr 12-24, 2017 for two. Thanks Chris!